IT Service management relies on what is called the ITIL Service Lifecycle. which is briefly discussed in the ITIL Foundation Overview course. Without following the five steps of this lifecycle, any IT service is likely to fail due to several reasons. It may not fit the strategic objectives of the company. It may not be designed in such a way that it can work in a live environment. Or it may not be transferable from the design stage to the operation stage. 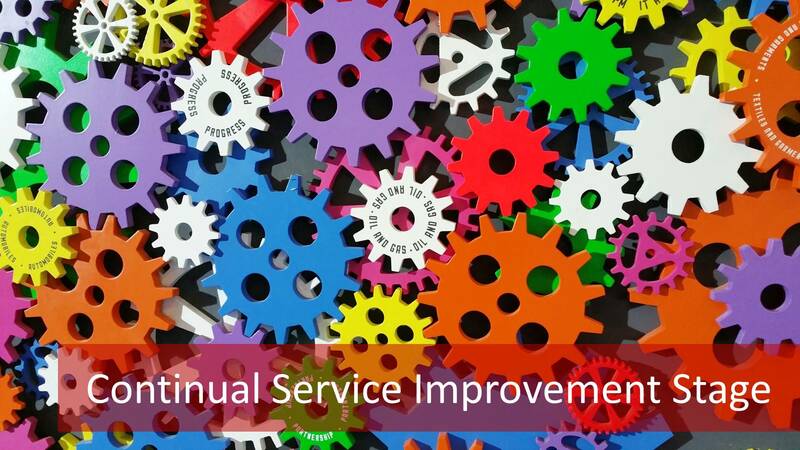 One of the biggest mistakes that an IT Service Manager or Service Owner can make is to leave a non-performing service without attempting to improve it with the help of ITIL Continual Service Improvement (CSI) principles. 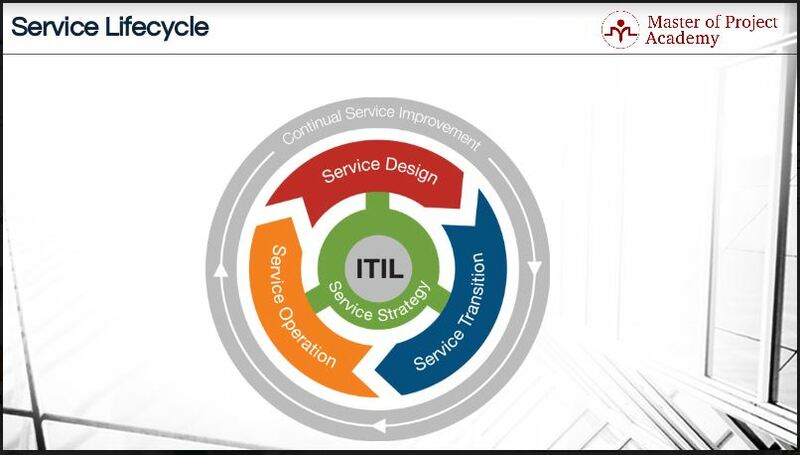 The ITIL Service Lifecycle has five stages, each interacting with each other. Service Strategy is at the heart of the process and feeds into the Service Design, Service Transition and Service Operation steps that follow on each other in a step-by-step manner. While Service Strategy is the core of the ITIL Service Lifecycle, ITIL Continual Service Improvement (CSI) is the shell that protects these facets from failure. The ITIL Continual Service Improvement stage covers all other four stages of the service lifecycle. The main purpose of Continual Service Improvement is improving the service delivery to customers, increasing value perception of the customer, and increasing customer satisfaction. 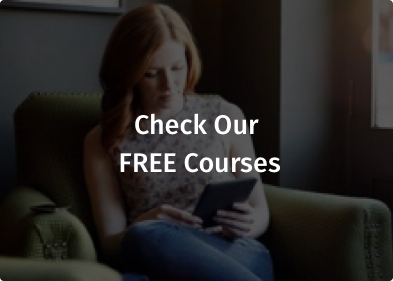 The CSI stage of the ITIL Service Lifecycle is covered in depth in the ITIL Foundation Certification Course. The ITIL Continual Service Improvement stage provides guidance for enabling and conservation of added value. With current resources and capabilities, the CSI stage aims to deliver maximum available output and value for the customers. After identification of improvement areas, actions are taken in order to deliver a better service experience for the customers. Taking actions are not enough to ensure that improvement has taken place. Monitoring the effectiveness of the actions taken is a critical part of ITIL Continual Improvement. If the rectifying actions did not sufficiently improve the service, another course of action must be considered in order to make sure that the service adds value to the customer. So that the organization does not lose business over an ill-performing service. The ITIL Continual Service Improvement stage provides and follows principles and methods for quality management when aiming to deliver an improved service delivery. It measures a set of metrics defined in the Service Design phase that is coupled to performance standards. If the service does not deliver results that are aligned with the performance standards, actions must be taken to improve the performance of the service. The CSI stage also links and improves other service lifecycle stages: Service Strategy, Service Design, Service Transition, and Service Operation. Mistakes can be made in any of these stages in the lifecycle. The ITIL Continual Service Improvement stage is responsible for identifying and rectifying any failures in all the stages of the service lifecycle. ITIL Continual Service Improvement ensures continual adjustment and improvement of the IT services taking into account the changing business requirements. While improving the existing status and IT services, the business requirements, strategy or vision of the organization can change. ITIL Continual Service Improvement must consider these changing business requirements when planning service improvements in the organization. The ITIL Continual Service Improvement stage verifies, analyzes and recommends improvement opportunities in each phase of the service lifecycle. From Service Strategy to Service Operation, Continual Service Improvement aims to find improvement points, gaps, and weaknesses. Then tries to fill in these gaps and improve weaknesses respectively. Continual Service Improvement also evaluates the achieved service quality. If the achieved service quality is lower than the planned value or below the customer’s expectations, then corrective actions should be taken to improve service quality. 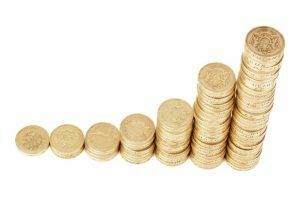 When improving service delivery standards, the ITIL Continual Services Improvement also aims to improve the profitability of the organization. An organization aims to earn money in the end as a result of investments. That’s why an organization tries to make its customers more satisfied. In this respect, Continual Service Improvement stage aims to increase the profitability of the organization by improving services and weak points in the service lifecycle. Quality Management in an organization relies on the measurements of metrics that has been defined to determine whether a process or service is performing according to agreed upon standards. If a service does not perform according to the set targets on each quality metric, the service must be improved upon. Quality Management is an important factor to implement in a company to ensure that customers receive the optimal service from your company. So that they will stay loyal and use your services. ITIL Continual Service Improvement makes sure that appropriate Quality Management methods are applied in the organization. A common quality standard might be adopted by the company such as ISO9001 or customized quality standards might be determined by the organization. These standards must be followed when delivering services to customers and Continual Service Improvement stage ensures that these quality management practices are applied in the organization. With ITIL Continual Service Improvement it is important to identify points of pain and to plan how these can be addressed. After taking the necessary steps to rectify the mistake in the service, it is critical to follow-up on whether the action step has had the desired effect. One must always look back at the ITIL Service Strategy stage, the heart of the ITIL Service Lifecycle. It’s for ensuring that any improvements are still aligned with the IT strategy and the overall business strategy of the organization. The ITIL Continual Service Improvement Stage is one of the most important stages in the ITIL Service Lifecycle as it is the key cog in the machine that ensures that a service stays profitable and relevant to the customer.